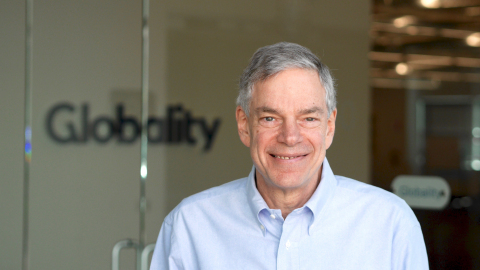 Globality, the world’s first B2B marketplace for premium business services that matches large corporations with small and midsize service providers throughout the world, has announced a new funding round of $35 million. This brings to $72 million the amount that Globality has raised since being founded two years ago. This investment was announced as Globality officially opened its new European headquarters in London’s Covent Garden. Globality has now hired 15 people in London. The new hires are helping to expand the new consulting practice – creating the content and developing the network, as well as developing the marketing and legal services opportunities. Investors in this new round of funding included existing investors THK Equities, Raine Ventures, former U.S. Vice President Al Gore, and former CFO of IBM, John Joyce, and new investors John Danilovich, Secretary General of the International Chamber of Commerce, and Dennis Nally, former Global Chairman of PricewaterhouseCoopers and a member of Globality’s Board of Directors. Globality also unveiled Yuval Atsmon, a former Senior Partner and global leader of Growth and Innovation at McKinsey, as the head of the new consulting vertical, which adds a sector to Globality’s platform that already serves marketing, legal, energy, environment, social impact and procurement. In his 15 year career at McKinsey, Mr Atsmon spent six years leading the company’s Strategy Practice for the Greater China region, serving as the firm’s leading researcher and spokesman about Chinese consumer trends and emerging markets. He was also a former Company Commander in the Israeli Army and earned an MBA with distinction from Harvard Business School. “Our latest funding round indicates strong investor confidence in Globality’s mission to drive the benefits of globalization deeper into the world’s economies by empowering outstanding small-and midsize service providers to partner with major multinational corporations. “Globality’s unique combination of artificial intelligence technology and deep industry expertise revolutionizes the outdated and cumbersome Request For Proposal, an analog work process in a digital world, replacing the RFP with a unique digitized Project Brief. “Globality carefully vets smaller agencies from around the world, evaluating them on quality, financial stability and reputation, and expertly matches them with large corporate clients. We are enabling SMEs to become micro-multinationals. “I am excited to join this group of mission-oriented leaders who want to make globalization work for more businesses around the world. The Globality Service Provider Network includes over 1000 highly qualified small and midsize enterprises located in more than 80 countries, with projects underway around the world.